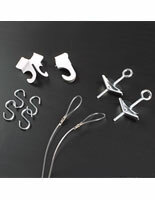 These chain mounting kits are made to suspend graphics and posters from overhead on 12” metal lengths. 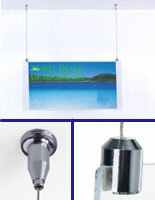 The ceiling suspension system is able to display both large and small graphics, whichever suits your store. 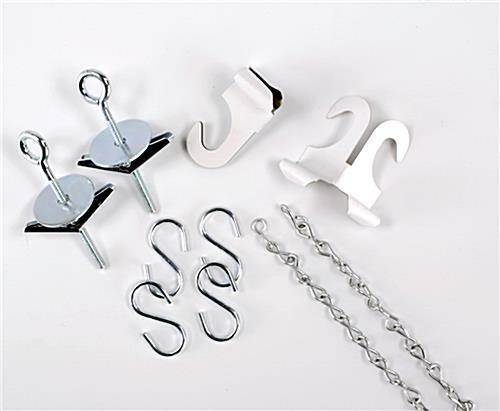 The mounting kits with full complement of sign hardware pieces come with everything that is needed for hanging posters. 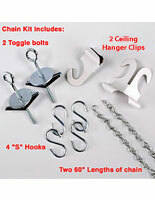 Clips for drop ceilings, bolts for plaster surfaces, 12” chains and S-hooks are all the parts needed to attach the display system. 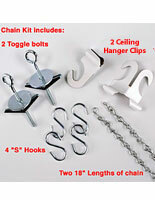 The kits are affordable and easy to install with possibly a drill needed for some installation. Silver finish on the sign hardware is eye-catching to draw attention, but still keeps the focus on advertising.